With the first battle taking place in 1861, the second in 1862 this third battle would again in 1862. As a side note the year of the battle affects the cards avaliable to you in "Longstreet" which affects what advantages you might get and what troops might be avaliable to you. 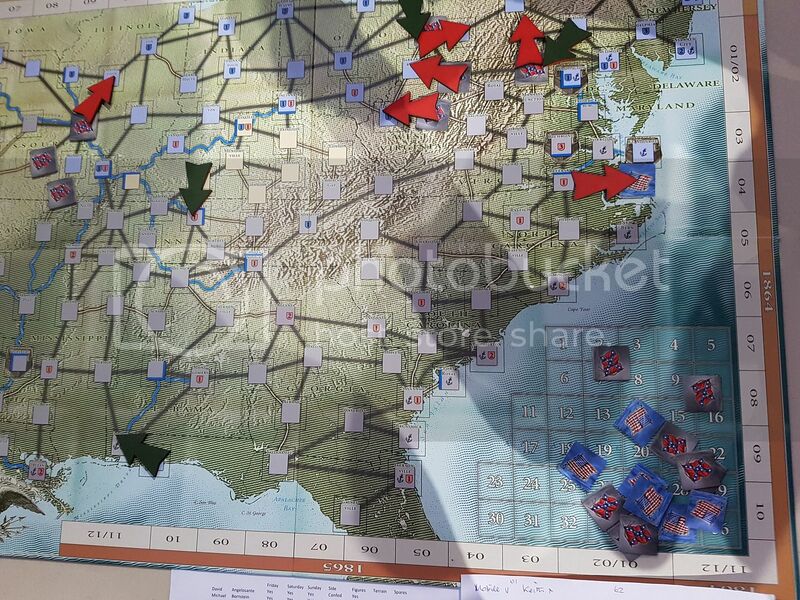 The 1862 cards still favour the Confederates but it is getting a little harder to make sucessful attacks. Anyway the early half of '62 saw the Confederates win 6 battles to the Unions 4. 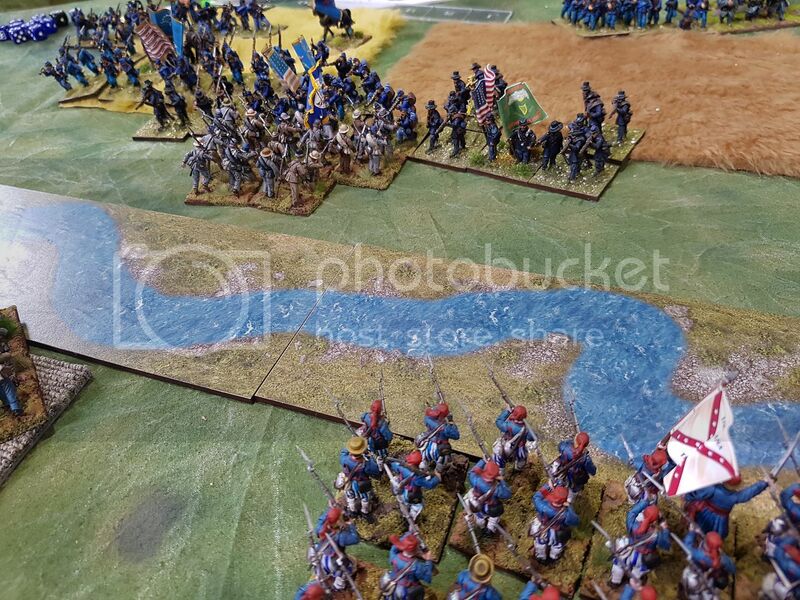 The six attacks included 2nd Norfolk, which I drew to try and make up for losing it, 2nd Harper's Ferry and 2nd Gettysburg. On my left the planned seem to be going well as I threw two regiments across the creek ... until the "Old Rivals" card came out Rowan's hand. This meant that one regiment, my Eagar Recruits (namely the Tigers) would stay put as their comrades charged forward. Now facing superior numbers the result is rather predictable and the 6th Virginia is driven back. On the right the artillery was badly shot up whilst limbered and though they deployed there were no longer enough firepower to see off the enemy cavalry. 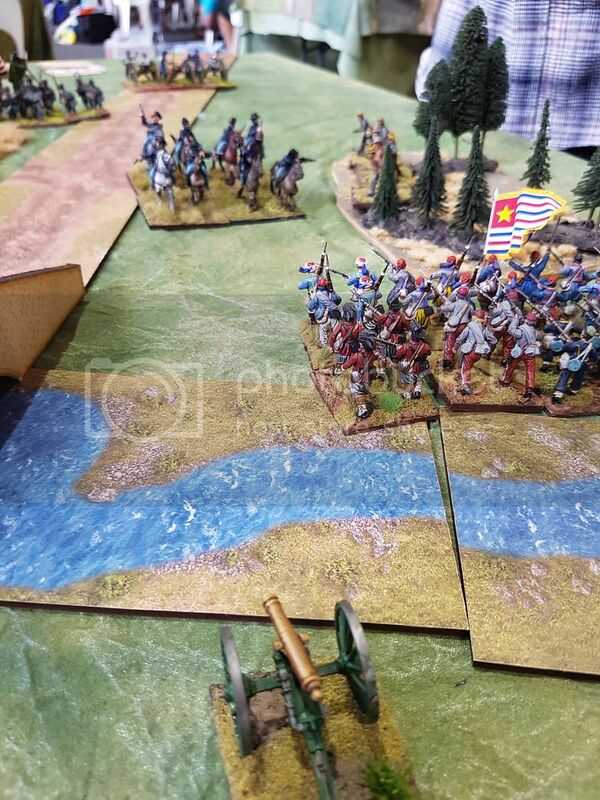 The gunners retreat back across the creek as the Combined Volunteers move forward. On the left things settle into a prolonged fire fight which my boys are slowly losing. 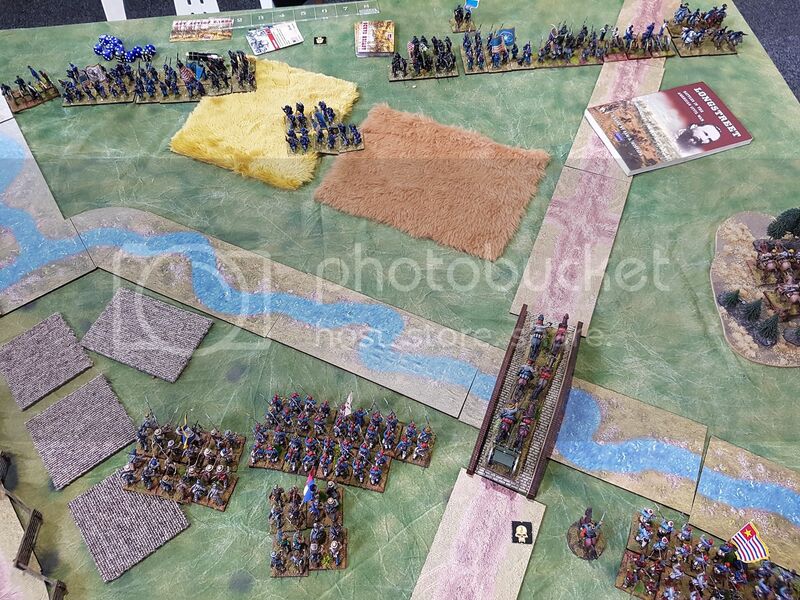 On the right the cavalry has dismounted and is holding the woods but unable to drive off the union artillery. 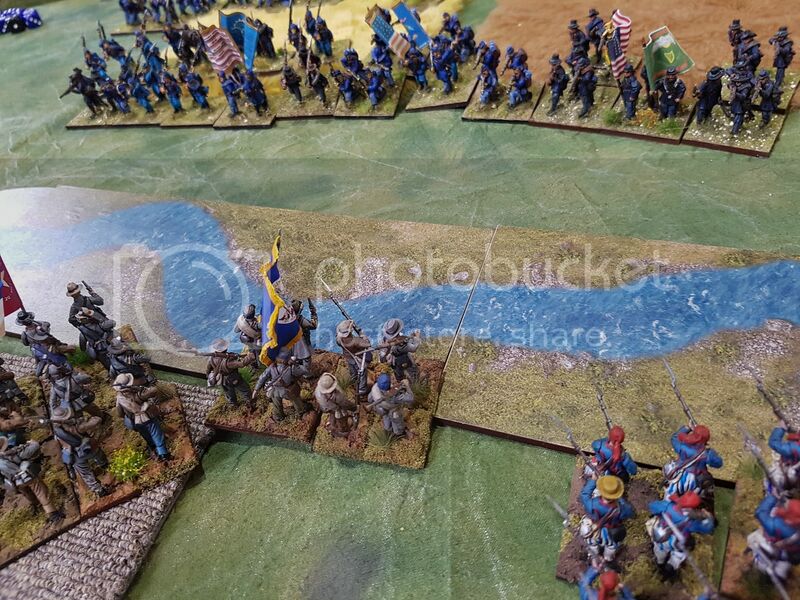 A good round of shooting sees 3 of my units break taking my army over its break point. And so Norfolk remains in Union hands. With recruiting and attrition my army remains about the same size but my artillery arm remains reduced. 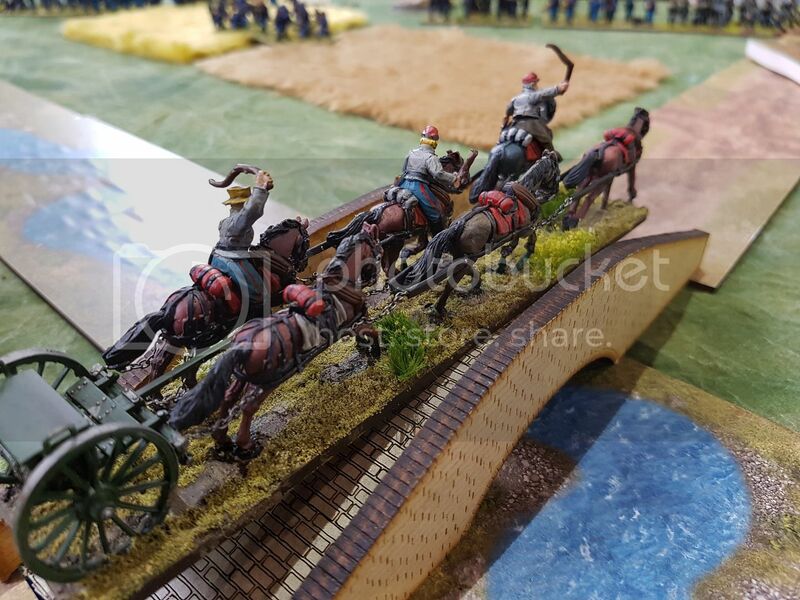 Re: Longstreet Cacon 2018: Battle 3: 2nd Norfolk. 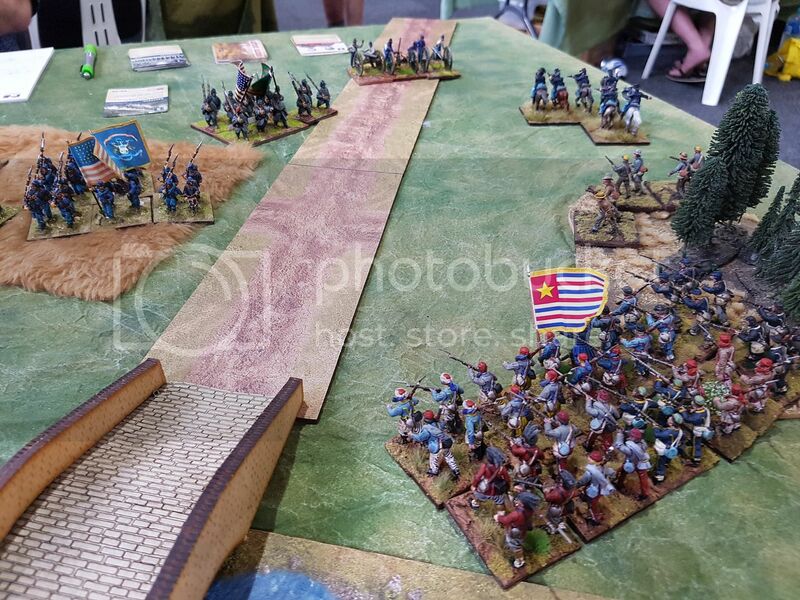 Great looking stuff Easy, thanks for taking the time to photograph the action very nice! Were yiu getting used to the nuances of the cards after multiple plays? Only had "Old Rivals" played on me in this game but it was when I tried to charge across the creek and that hurt. Game 2 at St Louis is when I had "Couldn't Hit an Elephant..." on me. Yeah I find confusion the worst...but hey I have one in my deck too...I usually advance units out of cover with it!